I was not sure what to expect from my first visit to Tirana and am now on my 8th visit here since mid May. It is a lovely, vibrant city with a tremendous cafe and bar culture, so colourful in the summer time. 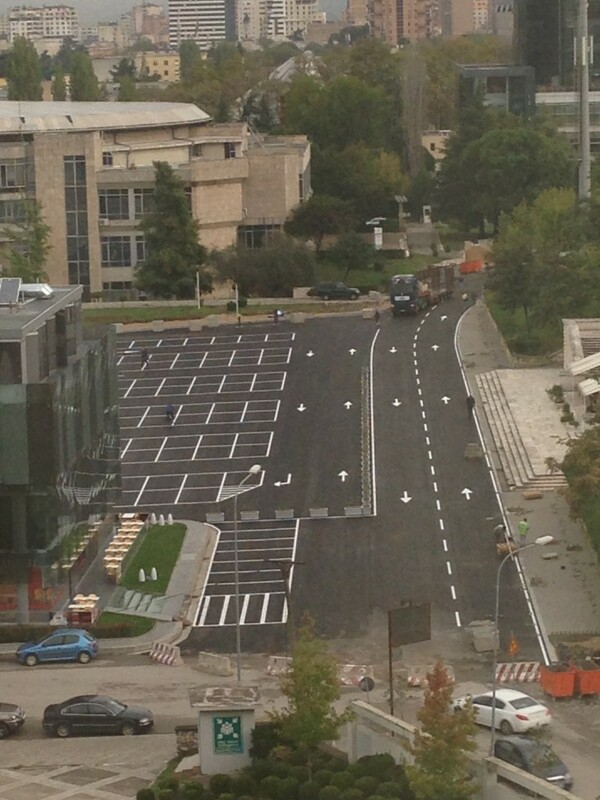 It continues to change rapidly; an example being the central car park near the Stadiumi Kombetar Qemel Stafa, which has been a broken-up cobbled surface for years, characterised by cars weaving in and out of the pot holes and a rotund parking attendant and his skinny work mate, both in their sweaty vests at the height of summer. That has all changed this week, following the tarmac resurfacing and painting work and the installation of an automatic car parking barrier system. I don’t know the fate of the previous parking attendants….. the price of progress…. 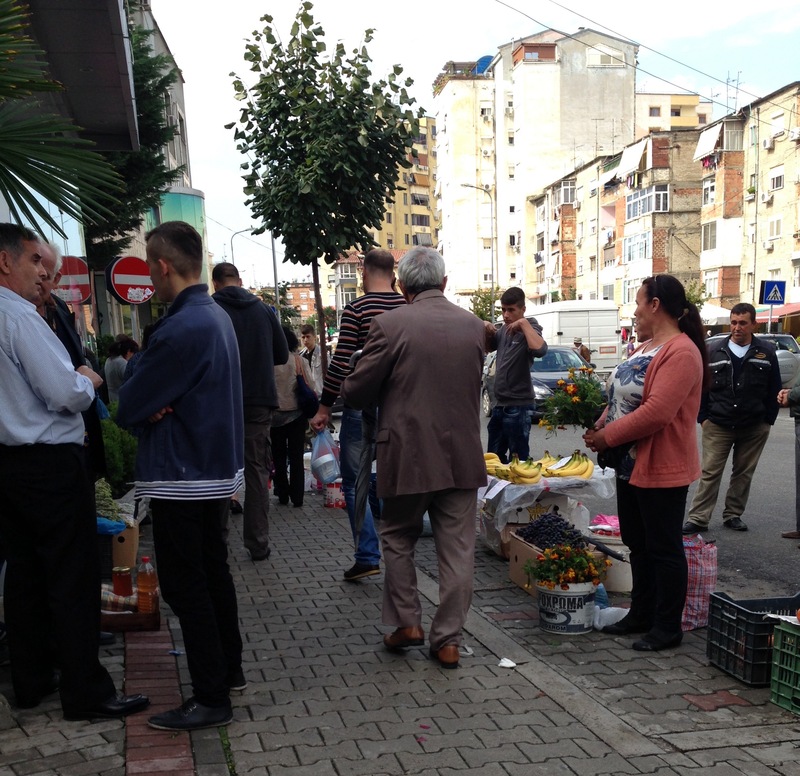 Whenever I am in a new country i always like to go to visit the markets to really see how people hussle for a living. In the posh area near my office one could be forgiven for thinking you were in a rich western city, with the traffic dominated by Mercedes AMG, BMW, Maserati and super cars, but the real truth can always be seen down the market. It has always interested me, all over the world, in the absence of formal planning, how like traders group together, so one has the fruit and veg place, the electrical and DIY etc. The veg markets are really colourful in a European context, as not nearly so vibrant as the West African markets I have been in for the last 5 years; and include a great many individual traders bringing goods grown in the home plots. These individuals extend the fringes of the more formal stalls and sell anything they have grown such as Sharon fruit, grapes and nuts and the like. Whilst walking around I came across this beautiful old bridge and found it was The Tanners’ Bridge (Albanian: Ura e Tabakëve) is an 18th-century Ottoman period stone footbridge located in Tirana, Albania. The bridge, built near the Tanners’ Mosque, was once part of the Saint George Road that linked Tirana with the eastern highlands. The road was the route by which livestock and produce entered the city. 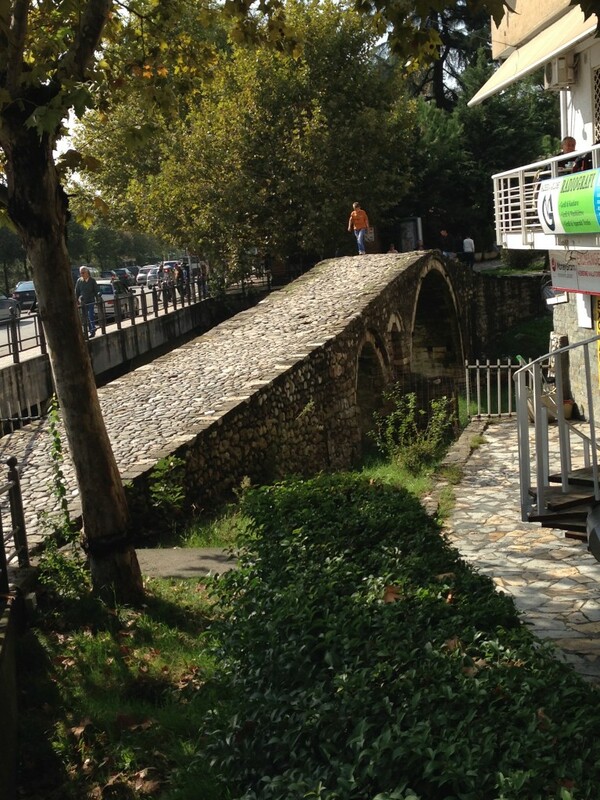 The bridge crossed the Lanë stream near the area where butcher shops and leather workers were located. The bridge fell into disrepair when the Lanë was diverted in the 1930s. In the 1990s the bridge was restored for use by pedestrians. This entry was posted in Uncategorized on October 18, 2015 by webmaster.